What’s so special about heather moorland to beekeepers? Heather is a small plant known scientifically as Calluna vulgaris, or more commonly ling heather. 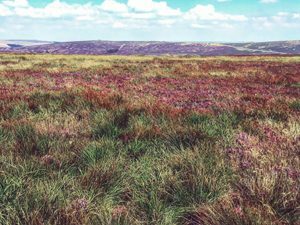 As the beekeeping season is winding down elsewhere, the small purple flowers that are a characteristic feature of moorland’s stunning scenery are just opening. The nectar they produce results in a highly sought after and delicious honey, making it worth all the hard work (both on the part of the bees and the beekeeper) that goes into producing it. Preparations for taking hives to the heather begins much earlier in the year, when you begin selecting the strongest of the hives in your apiaries. 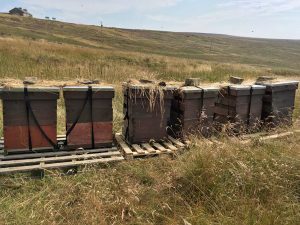 The hives need to headed by a new queen, so that she will lay eggs at a good rate for as long as possible, keeping the population as large as possible for the time they are on the moors. The colonies also need to be as large as possible, again to make sure the foraging force is able to gather as much nectar as it can. There is also the decision of whether to provide colonies with drawn comb or not – we decided to give them what we could at that point, effectively meaning each colony got one super of drawn comb. If this is the case, this is another task to prepare earlier in the season. Get the combs for those supers drawn out and then stored away safely until the time comes to go to the moors. However, a lot of people save themselves this additional task and simply give the bees thin foundation to draw when they get to the heather. The night before the move we aimed to seal the bees into their hives and then move them to a central location before loading them onto the truck. Everything was going well until we tried to lift the last hive in one of the out apiaries only to find that the mesh on the floor had given way and bees came boiling out. The floor needed replacing (in hindsight this should have been checked in the week running up to the move) and this was a difficult, to say the least, task in the dark. Moreover, it meant the bees had not been sealed into the hive and a very early start (to return to the apiary before sunrise to finish the job). Next came the loading. This takes some time, as we would be driving for three hours and needed to be certain that the hives were secure. The last part of the journey was full of excitement as we drove through stunning scenery and kept our eyes peeled for heather that had begun to flower. It was amazing to see how quickly the scenery changed, from the patchwork familiarity of pasture land to the rugged wild expanse of heather moor as we made our final approach. We arrived at the site, and set about choosing a location. 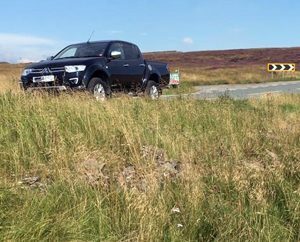 The exposed nature of moorland means finding the best location for the bees is important if they are to thrive. Stands of bracken are a good indicator of a sheltered spot; however, there were none where we placed the hives. After a bit of exploration, we settled on a site that was protected from the prevailing wind by a low ridge. Then came moving the hives. Not an easy task when you are lifting them across uneven ground! We placed them on pallets and set them facing away from the prevailing wind, again attempting to make the bees as comfortable as possible. Once the hives were strapped to their pallets, weighed down with rocks and given a little camouflage to disguise their location, the foam blocking them in was removed and the bees were free to explore their home for the next few weeks. Once the hives had been on the moors for a month and the heather flow had drawn to a close, it was time to collect them. A similar process, in reverse, sealing them up late in the day and reloading considerably heavier hives onto the truck. The final stage is extracting the honey itself. 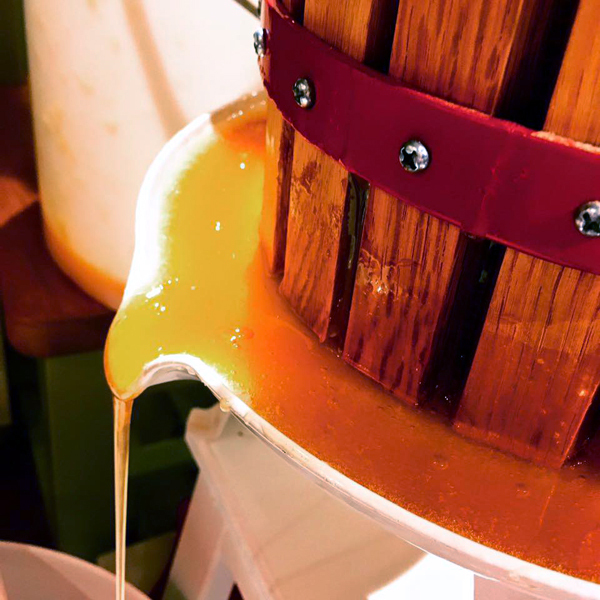 Unlike most honey, heather honey cannot be easily spun from the frames. Although it is possible, we took a simpler (although messier) route of pressing the honey from the frames. 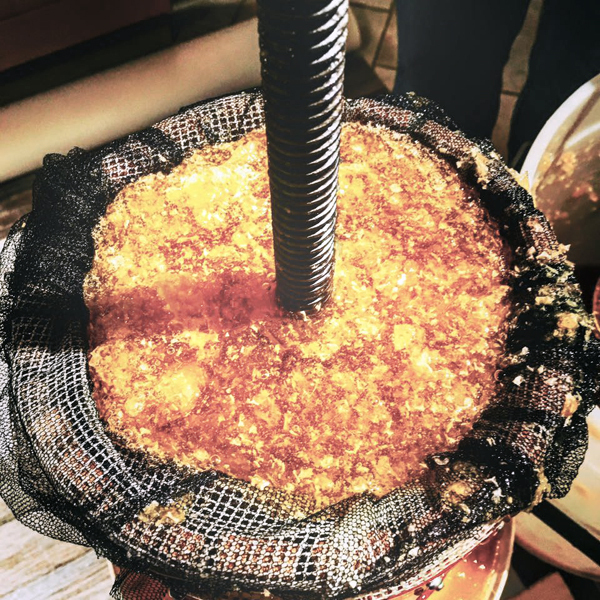 The capped honey is cut from the frames and loaded into a press (there are specialist presses although we used a fruit press borrowed from a friend). All in all, a successful and very enjoyable experience and the resulting honey is exceptional! Excellent review of our late summer adventure.